New iWizards Join the Ranks! 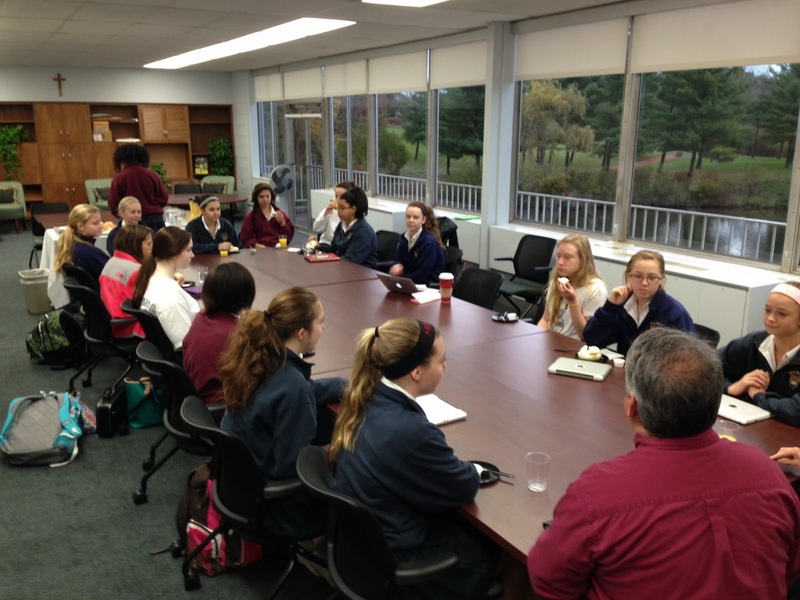 A new crop of iWizards were inducted into our technology club this week. They are primarily ninth graders and will bring some new energy and ideas to our projects. Several of the new girls pitched in at the Mercy Open House on Sunday. Then all were welcomed at an early morning reception at our usual haunt, the Baggot Street Conference Room. I took some photos at both functions with my iPad. 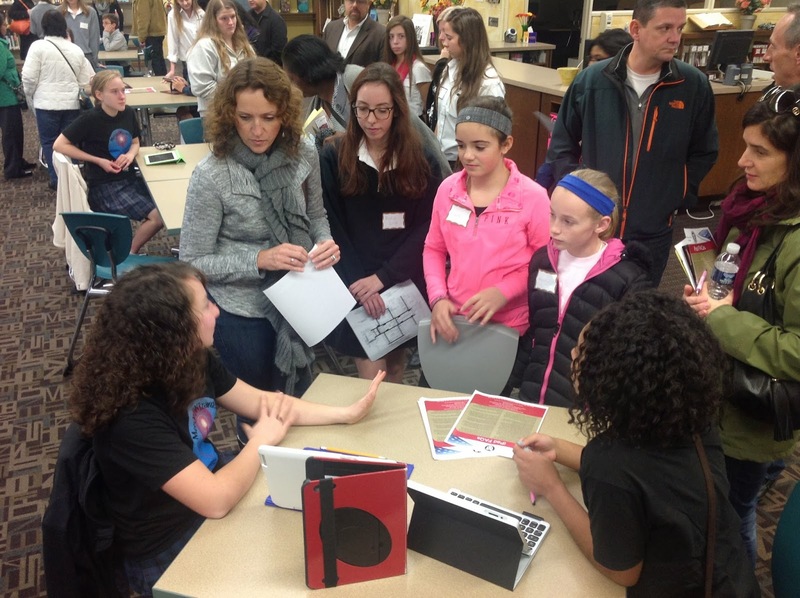 Experienced iWizard, Taylor, pitches the iPad program to Open House visitors. 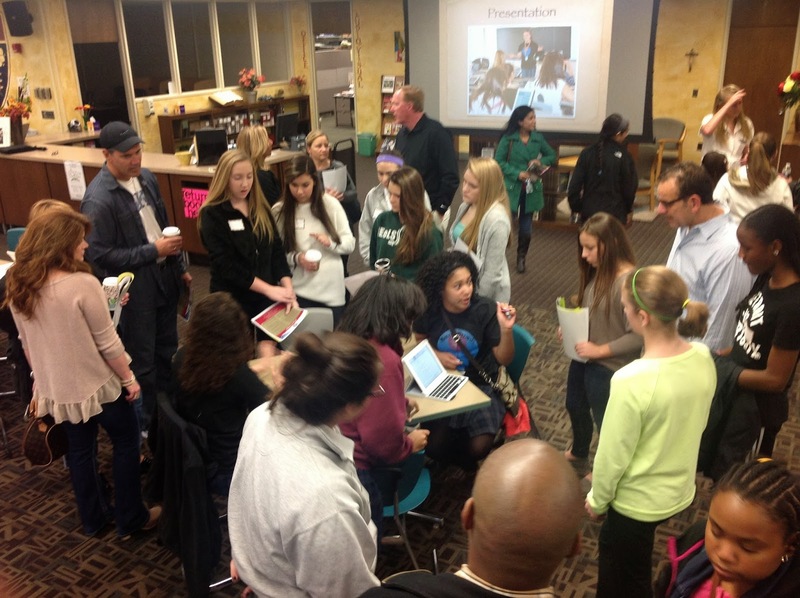 Simone– a ninth grade iWizard– gathers an Open House throng. New iWizard reception, November 6.